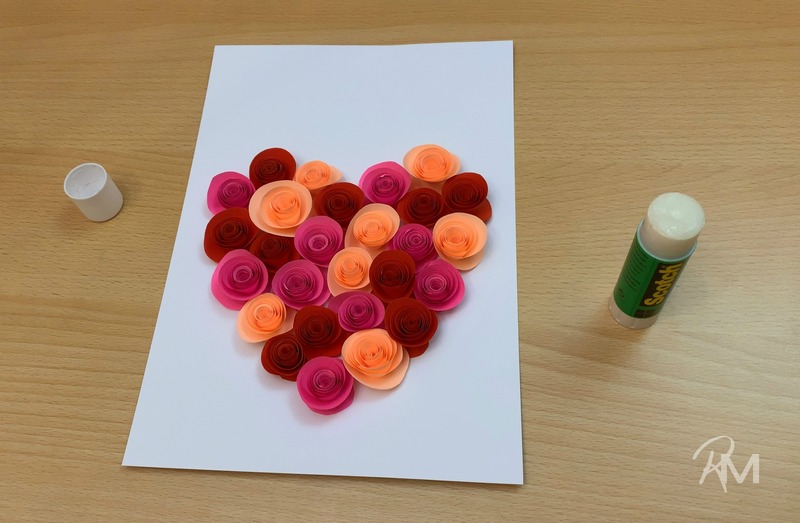 It’s all about hearts and roses with this easy Paper Heart Rose Craft, which is a wonderful way to help kids develop patience and fine motor skills. 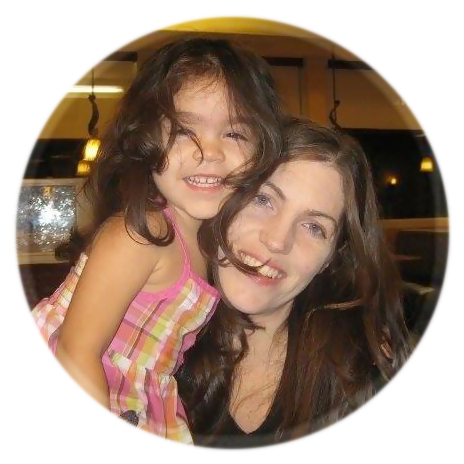 With 5 kids here at home on a daily basis, I’m always looking for cute crafts and things they can do to keep busy. As February turns into March, April and May, I’m always set on heart-themed activities so they can proclaim their love. While I’m working on cheese and soap, my kids love every opportunity to help each other create new things. Whether fabric bookmarks, zippered pouches (sewing 101!) and even gourd birdhouses, crafts are their favorite. This Paper Rose Heart is perfect for kids to make (even your 5-year old was able to do this!) You can make it into a card, or throw it in a large frame so that Mom (or, Grandma) can put on the wall. This craft isn’t too tricky but it does require patience. If anything, it’ll help kids develop their fine motor skills. Clear a large space on your kitchen table to allow your kids plenty of room to work. Grab a large mug (or, canning jar) to use as the template for your paper rose heart. Trace around your mug (or canning jar) and make one circle for each paper rose. Cut each circle in a spiral fashion (it helps to pile them together to do several at a time). Then begin rolling the paper rose heart from the outside towards the inside. 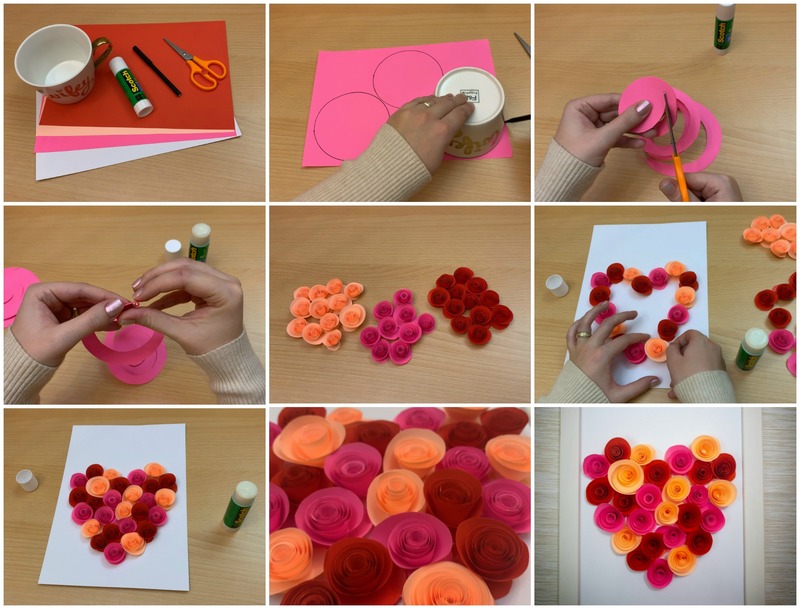 Use a glue stick to glue the end of the rose, and repeat until you are done with all of your paper rose hearts. Then arrange on an 8×10 or larger paper, taking special care to glue the rose with the glue stick as you go. Your paper rose heart is done. You can finish this off by placing your paper rose heart in a photo frame (taking care to remove the glass!) Or simply use this craft as a design on a handmade greeting card to gift. 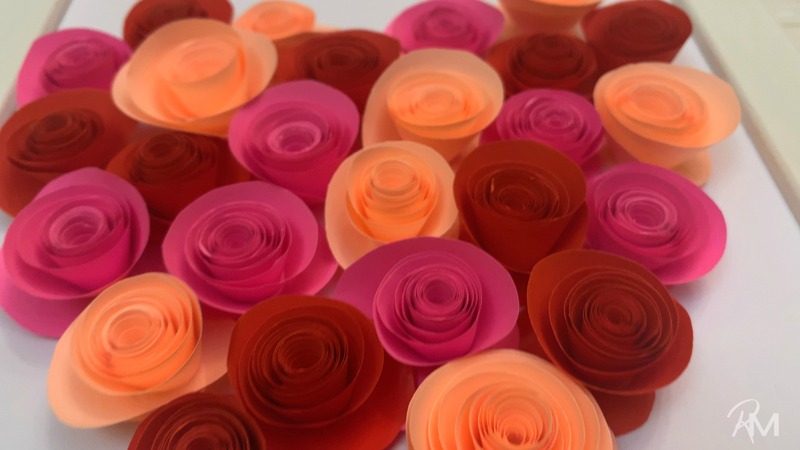 Have you ever made paper rose hearts? Maybe you have a kiddo that would love to conquer this simple craft. If you make this, tag us on Facebook or Instagram using @RebootedMom so we can see the end result! 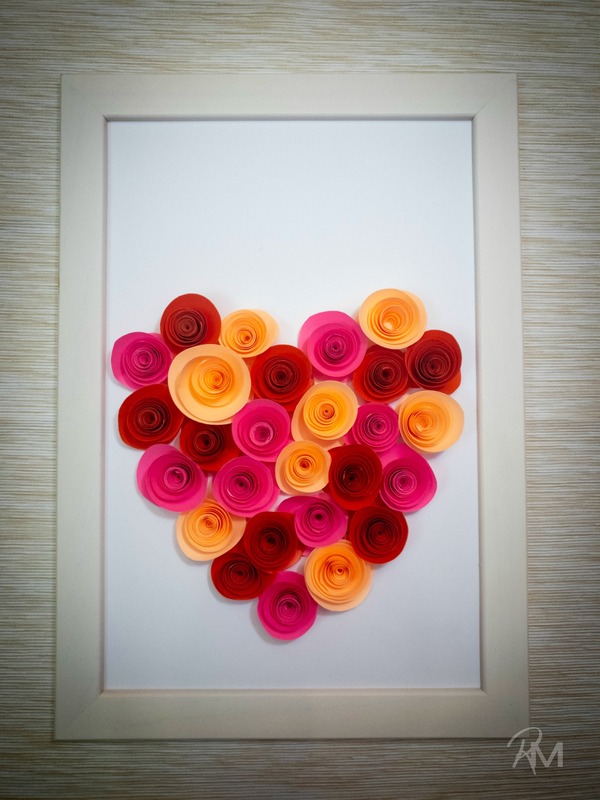 Share the post "Paper Heart Rose Craft"